The best sake is undoubtedly made from quality rice. 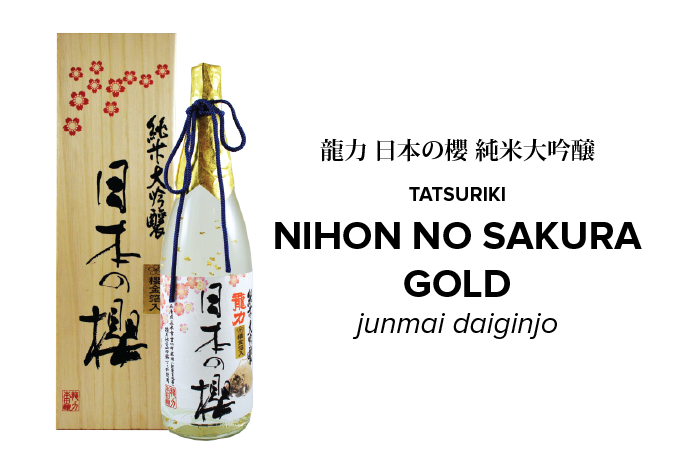 Using only top class Yamadanishiki rice, selected from Special A area in Hyogo (the best sake rice region in Japan), Tatsuriki Nihon No Sakura Kinpaku is a full-body type Junmai Daiginjo with fruity aroma. Soft on the palate, the balanced layers of sweetness and richness spread widely in the mouth as it follows through with a refreshing acidic tail. The cherry blossom shaped gold flakes infused in this sake imparts luxurious feel making this a top choice for special occasions.